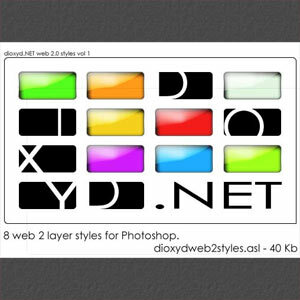 8 web 2.0 Photoshop Styles. You can use them to create buttons on your site. It would be nice if you credit authors site with a link when you use those PS styles.